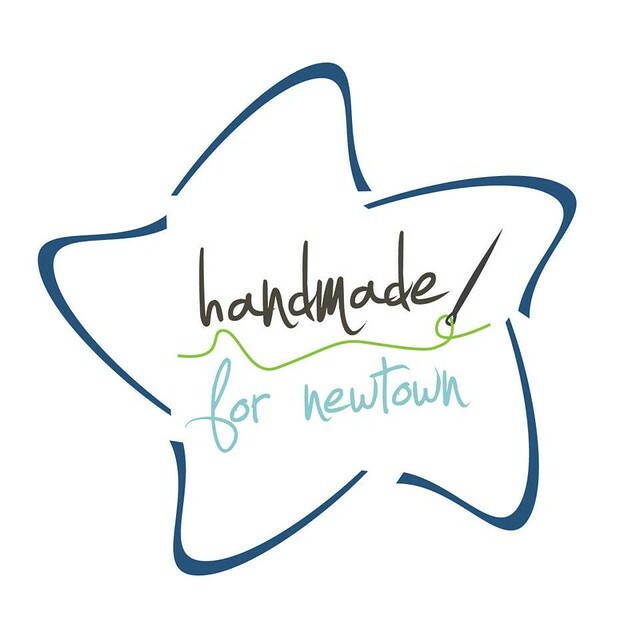 Have you guys heard of Handmade for Newtown? This is an online auction organized by my friend Rachael and From The Heart Auctions to benefit the parent community in Newtown, CT after the horrible massacre that happened there a few weeks ago. 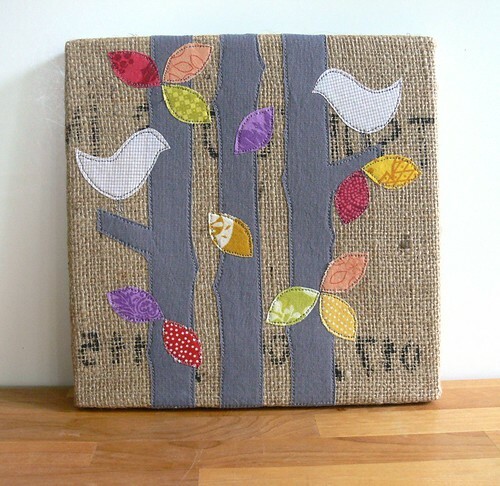 I donated an original piece of burlap art to the auction to help raise money for the cause. It's called Sunset Birds. 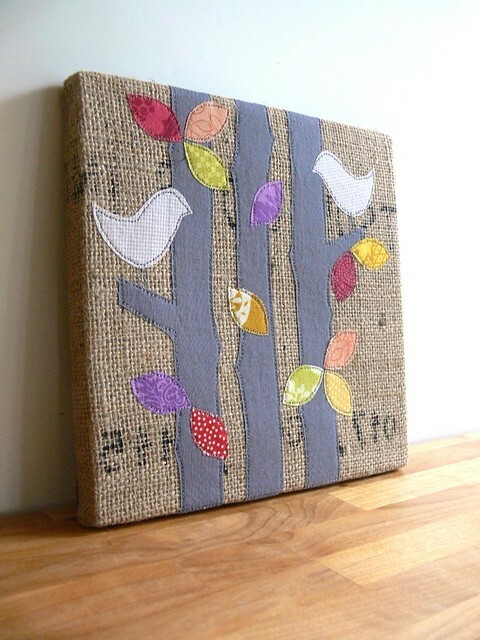 It is handmade with fabric designs appliqued onto a piece of upcycled burlap from a coffee sack. The artwork is stretched onto a wooden frame, professionally finished and ready for hanging! You can see the auction listing for it here and if you'd like, bid on it! 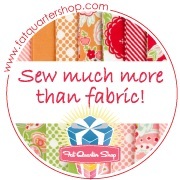 There are a ton of fabulous handmade items, along with supplies like fabric, patterns and more up for grabs. Go check out the auction album and bid generously, it's going to a good cause! Pretty awesome, don't you think? Go check out the auction album and bid away! You can "Like" From the Heart Auctions on Facebook here. And here's my artwork again, just because I took a bajillion pictures of it, ha ha! You will find the how-to and rules for bidding when you go to the auction album. It's pretty self-explanatory. You bid by leaving a comment with a higher dollar amount on whatever item you'd like. Bids will be accepted through Friday, January 18 at 10pm EST. Go bid! I mentioned yesterday that I made quite a few gifts this year, but surprisingly, it didn't feel like that much. That might be because I had just come out of working like a nut to prepare for my first Holiday Fair. 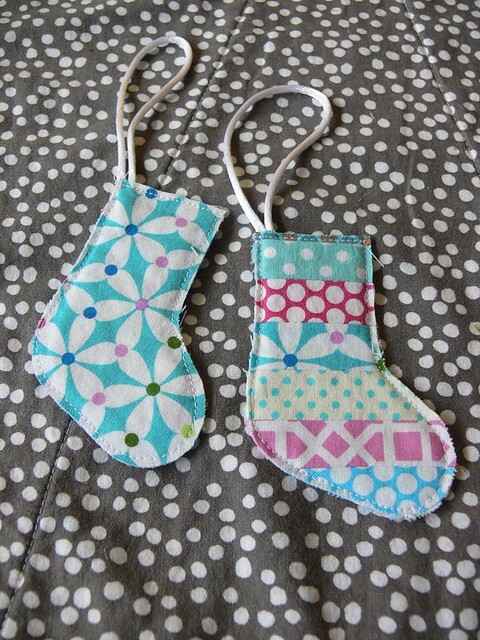 Or it might be because I made several of the same, easy gifts! I mentioned yesterday that I made quite a few infinity scarves this year. Here are more I made for you Angel, as well as for Ben's teacher and assistant-teacher, and last but not least for my Mom! There are all made of voile from various Anna Maria Horner collections. 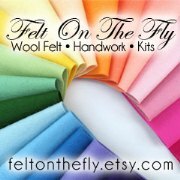 So soft, and wonderful to work with! 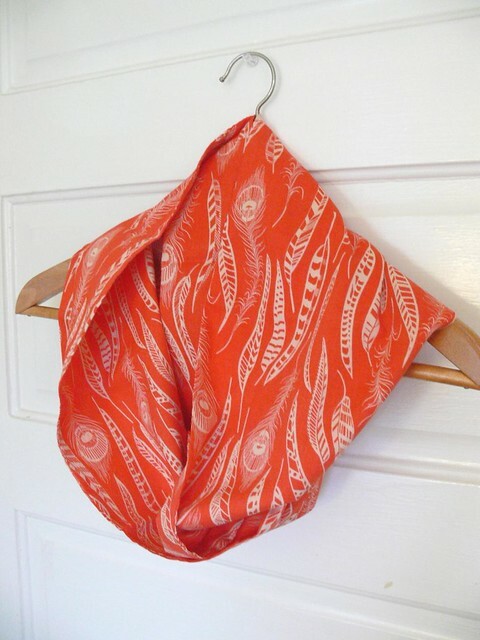 I bought some Field Study voile to make one for myself too, so I'll try to take some pics and share how I make these. 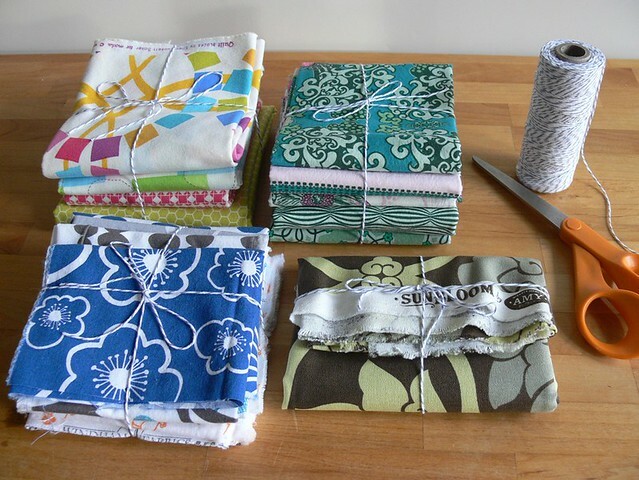 Super easy peasy and they just use ONE yard of fabric. 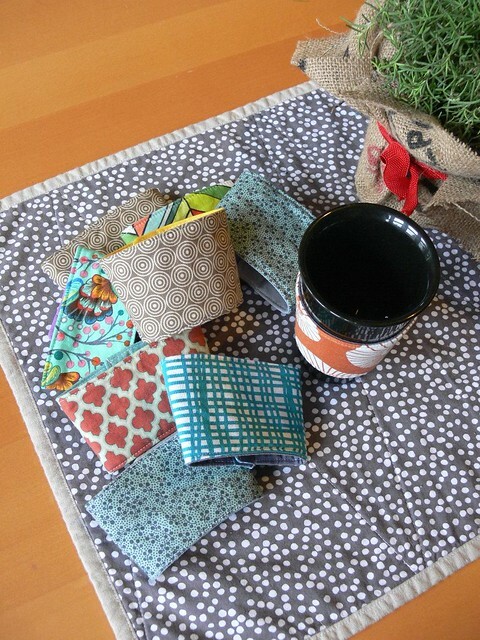 The other gift I made a lot of were coffee/tea cozies. I started by using a cozy pattern (that I can't find right now) that featured a velcro closure. I made this teacher gift for Henry's preschool teacher, who also happens to be my neighbor and friend. I gave that to her along with an assortment of teas in a handmade fabric bucket (more on those soon!). 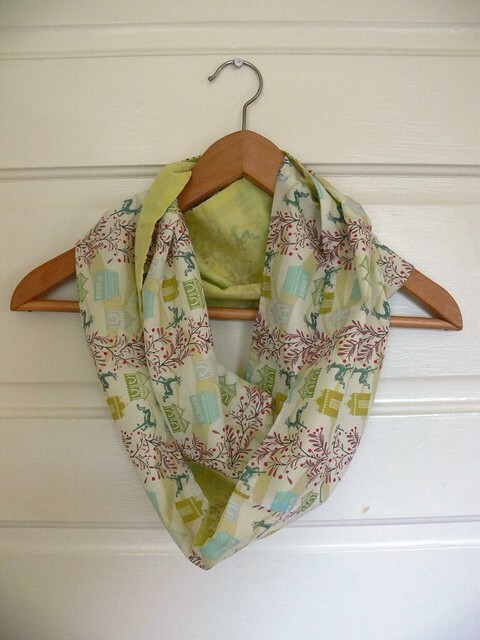 This one features a print from the new Stamped collection by Ellen Luckett Baker (love!!!!). Then I decided to simplify the cozy pattern and made a whole bunch of them by skipping the velcro and just sewing both ends on top of one another. It worked great. I made one for myself using some leftover Echo by Lotta Jansdotter and I use it all the time (which tells you just how I often I splurge on lattes, ahem). Since we weren't going to be in Texas with my family for the holidays, we sent a care package. 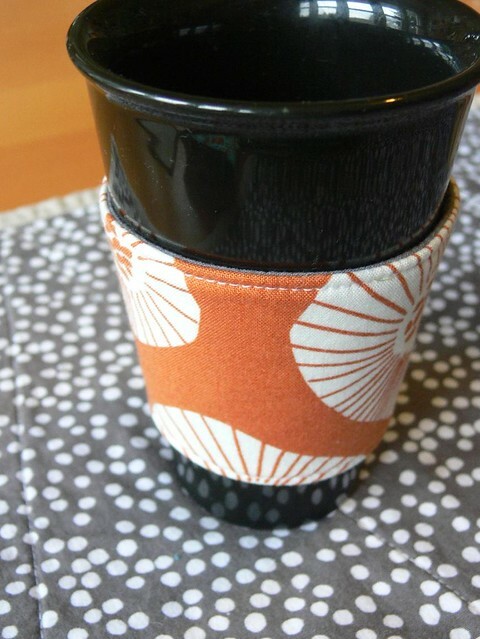 In it, I included a coffee cozy for each adult member of my family. When we connected with them on Skype for our traditional Christmas breakfast, they each had a coffee cup in hand, adorned with a cozy. It made my day more than any gift! 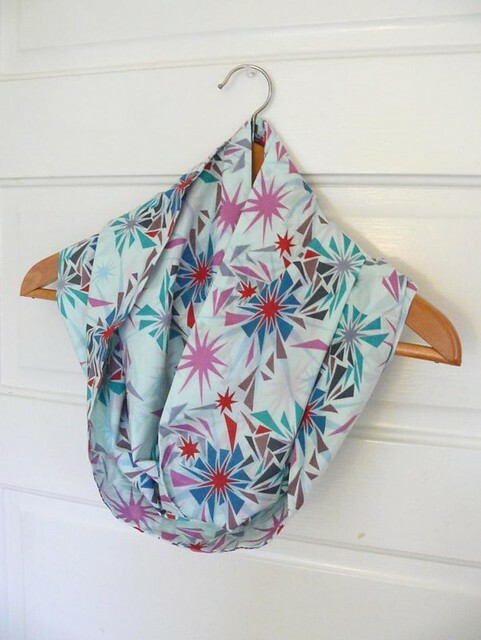 Have you caught on to the infinity scarf craze? Do you have a favorite pattern? What do you think of working with voile? What are some of your favorite go-to holiday gifts? Let's chat in the comments. We're back to the school routine over here, as of yesterday, and I'm trying my best to get back into the swing of things. It doesn't help that I'm a bit (a lot) sleep-deprived due to getting sucked into yet another dystopian trilogy. Oh, how I love to read with my little Kindle, but I need to stop staying up so late! I've been going through all my photos from the holiday season and realized I made quite a few gifts this year! I will start by showing you what I made for a handmade Secret Santa gift exchange with a group of mama friends. 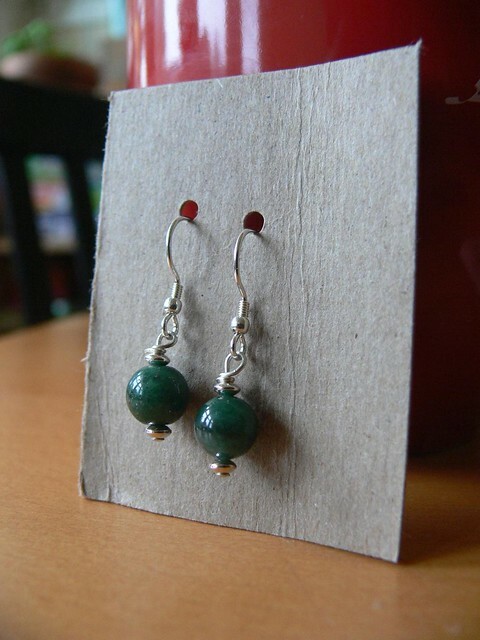 I made these with sterling silver and jade beads (at least I think they are jade, salvaged from a former bracelet) from my stash. It was fun to make jewelry again, it had been a while. 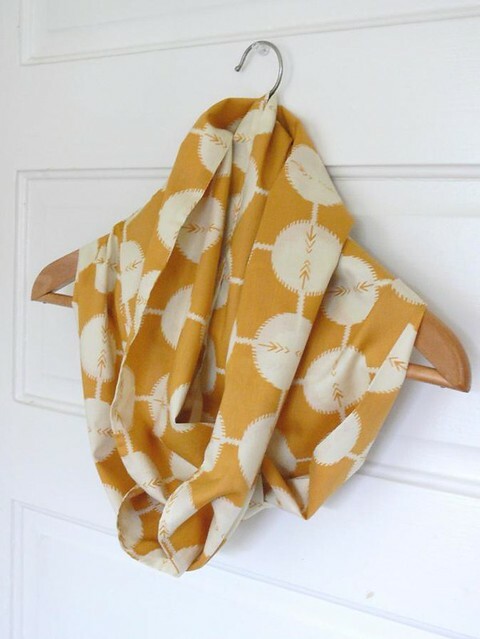 There was a time in my twenties when I made new pieces almost every day! 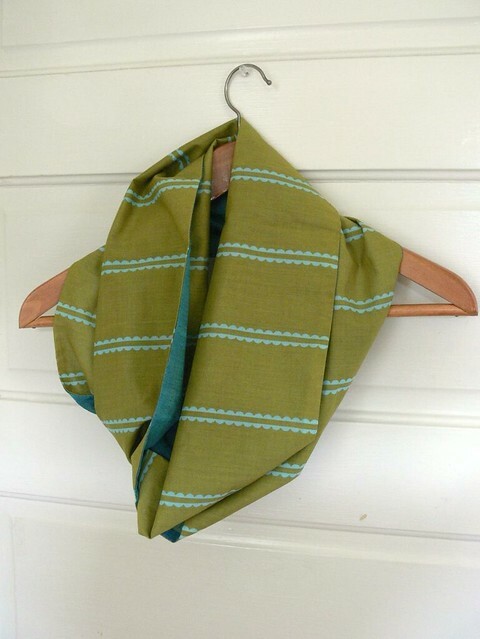 This scarf features voile by Anna Maria Horner on one side and double cotton gauze in a light shade of coordinating chartreuse on the other side (Angel, do you recognize the style, I made yours at the same time!). I actually made quite a few infinity scarves for Christmas this year and will share more tomorrow. These are so easy! 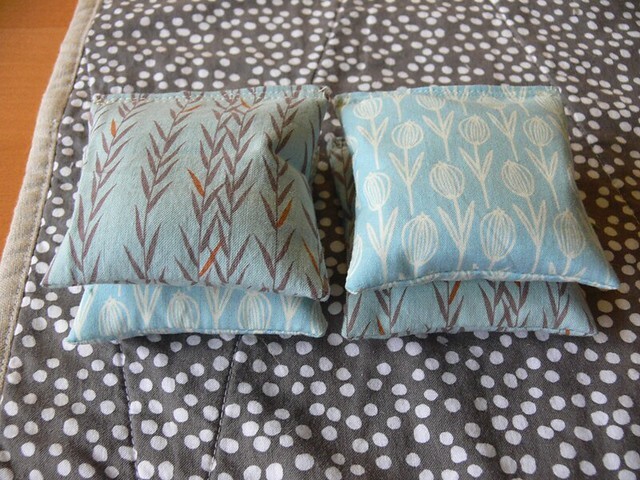 I use reusable cotton tea bags, fill them with drier lavender and zigzag-stitch them shut. 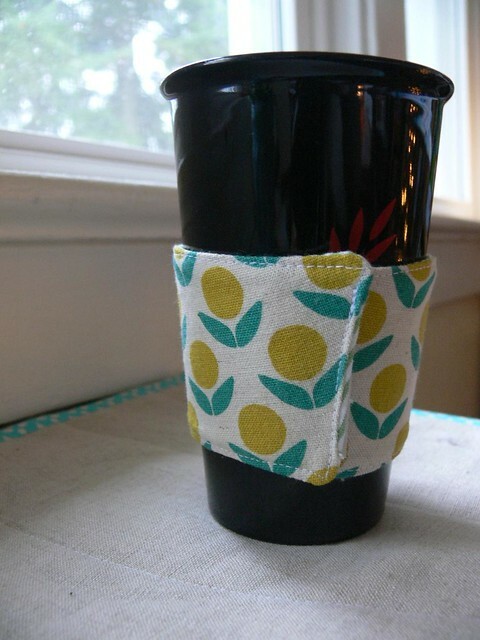 I then create a little pocket out of pretty fabric and stuff the tea bag in it, then top-stitch them closed. You can throw one of these in the dryer with your wet clothes and your laundry will come out smelling lovely! Multiple uses for each bag until the scent disappears. I used my own tutorial to make some little ornaments for her! I kind of like this non-traditional color scheme, what do you think? I also threw in some homemade cookies. And that was it! I hope my recipient enjoyed her Secret Santa gifts!! I myself received some pretty cool handmade Secret Santa gifts, including a large button trivet similar to this one on MAKE. I love it! 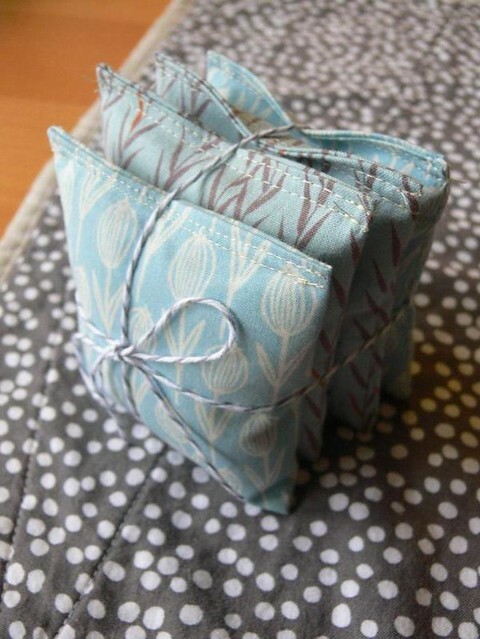 Did you guys participate in any handmade exchanges this holiday season? What did you make? What did you receive?! I hope you're all well on this first day of the year. I'm so excited to get back to the blog with a huge giveaway!! My entire family has been sick since the beginning of Christmas break, so our holidays have been extremely low-key. This means, however, that I had time to clean up, organize and purge. I went through my entire fabric stash a few days ago and decided to be ruthless. I filled an entire garbage bag with miscellaneous fabrics I hadn't used or thought of using in over a year. The bag is going to my teenage neighbor who is currently learning how to sew! 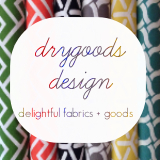 When purging, I also took out several cuts of designer fabrics, and decided to give them away! See above, these are all gorgeous prints and I hope they will go to someone who loves them as much as I do!! Since I was planning a big giveaway, I also decided to throw in some books! Lark Crafts generously sends us books to review on a regular basis and I have so many, it's time to share!